According to the study, both shorter sleep duration and lower sleep efficiency were associated with increased levels of overall and abdominal fat deposition. WASHINGTON D.C.: Both quantity and quality of sleep in adolescents had significant effects on aspects of cardiovascular health such as blood pressure, cholesterol levels and abdominal fat deposition, according to a study published in the latest issue of Pediatrics. Researchers focused on the amount of time spent sleeping and the percentage of sleep that is undisturbed with 829 now-adolescent study participants. "While many studies have associated shorter sleep duration with increased obesity levels in children, few have examined effects on other risk factors, such as blood pressure, blood lipids and glucose metabolism, or examined associations of sleep quality with these outcomes," said Elsie Taveras, chief of the Division of General Academic Pediatrics in Massachusetts General Hospital for Children and senior author of the Pediatrics paper. Results showed that the average sleep duration for all participants was 441 minutes or 7.35 hours per day; and only 2.2 per cent met or exceeded the recommended average sleep duration for their age group: 9 hours per day for ages 11 to 13 and 8 hours per day for those 14 to 17. Sleep duration of less than 7 hours was found in 31 per cent of participants, and more than 58 per cent had sleep efficiency less than the 85 per cent that is considered sufficient for adults. Longer sleep duration and higher efficiency were associated with reductions in cardiometabolic risk which was based on factors such as smaller waist circumference, lower systolic blood pressure and higher high-density lipoprotein cholesterol levels. 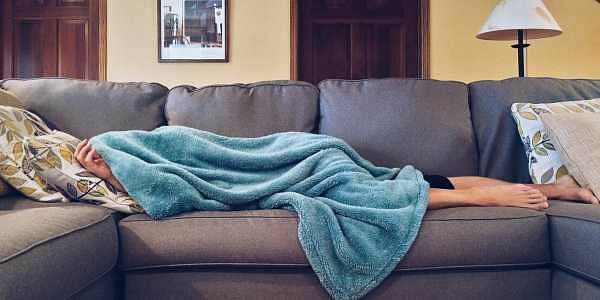 "Sleep quantity and quality are pillars of health alongside diet and physical activity," said the paper's lead author Elizabeth Cespedes Feliciano with the Kaiser Permanente Northern California Division of Research. "Pediatricians should be aware that poor sleep quality, frequent awakenings and not just insufficient duration of sleep, is associated with increased cardiometabolic risk," said Feliciano.